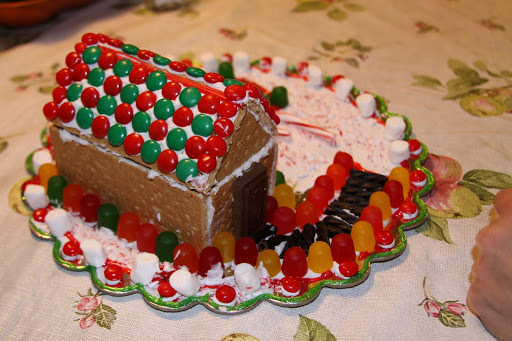 Lindsey and Nikki were invited to a gingerbread party. 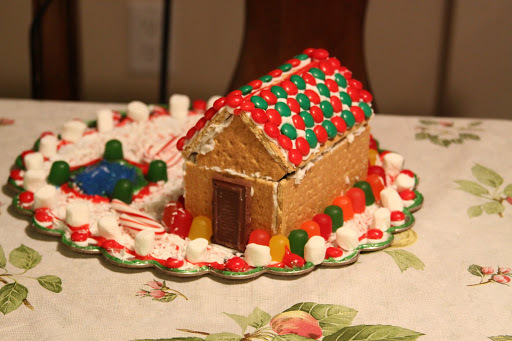 Unfortunately Nikki’s house fell apart when she got home and was inconsolable. It was the second time this happened. 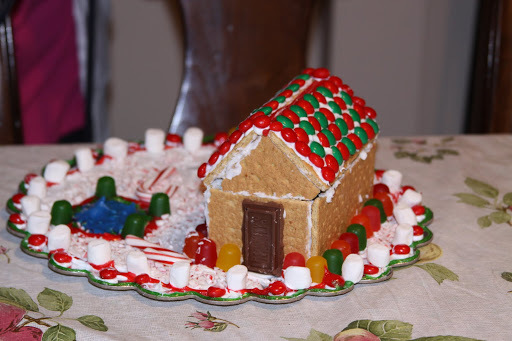 The week before she made a small gingerbread house at school but it too fell apart just as I was picking her up. She cried the whole way home. She was more upset at the fact that I didn’t get to see the finished product than the fact that it fell apart. I promised her we’d build one together at home. 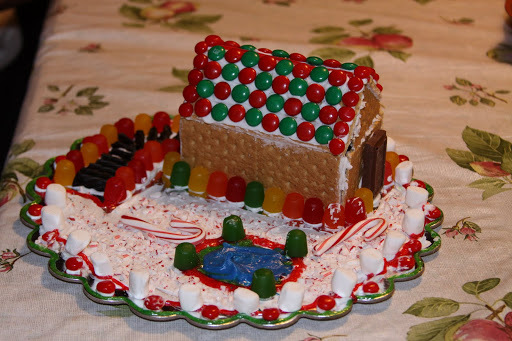 The pictures below are of Lindsey’s first gingerbread house. She was quite proud of herself and took pictures from every angle as you can see.